Born into the business, both of her parents have equestrian backgrounds, and she rode her first pony before she could walk. Ryan’s mother was a successful amateur rider. Her father, Randy, is a well-known Senior international Judge (FEI), a course designer, and holds a Senior Judge’s Breeding Card. He is the only Canadian to have officiated at all four prestigious indoor shows: Harrisburg, Pennsylvania, Washington D.C, Madison Square Garden, N.Y. and the Royal Winter Fair, Toronto. 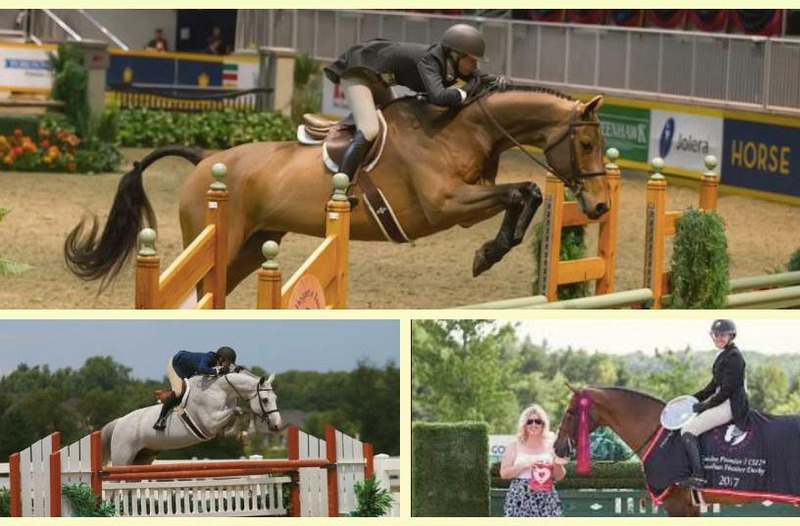 Ryan Roy shows Hunters and Jumpers in both Canada and the United States. Known as one of the best derby riders in the business, Ryan was Knightwood Hunter Derby champion as well as Canadian Hunter Derby champion in 2014. In addition to showing hunter/jumpers, Ryan also plays polo — once professionally with a very competitive team in South America. She has been featured in several publications including Sport Horse Magazine. Due to overwhelming response, the clinic is now full! We are accepting a waiting list in case anyone is unable to attend. A limited number of auditor spaces are available at $25 per person. Christine Reupke is an Equestrian CAnada Senior Carded Hunter/Jumper Judge who is also a successful Rider, Trainer, Show Organizer and President of the Royal Winter Fair.